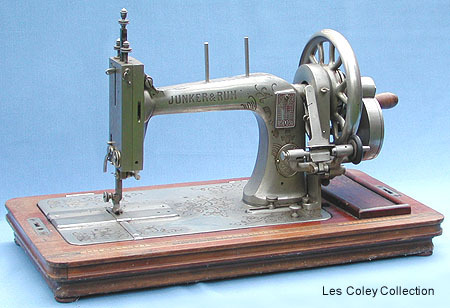 Of Singer "New Family" type, this late 19th century machine was produced by Junker & Ruh of Karlsruhe, Germany. The castings incorporate recessed design features. This, together with a fine nickel plated finish, sets it apart from the majority of New Family clones.